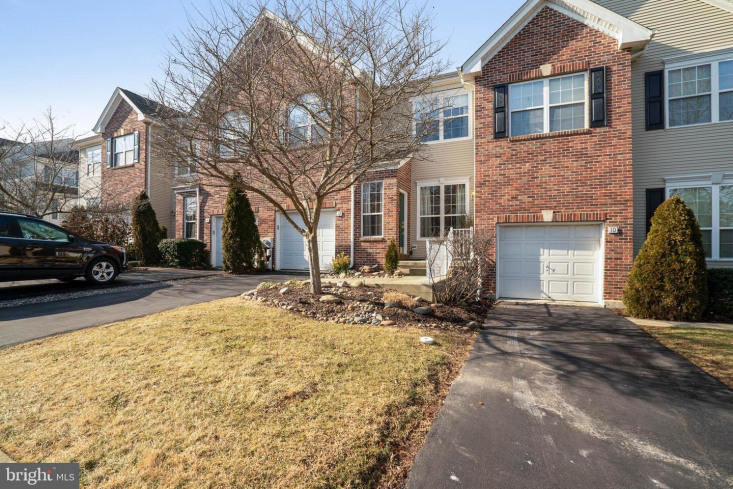 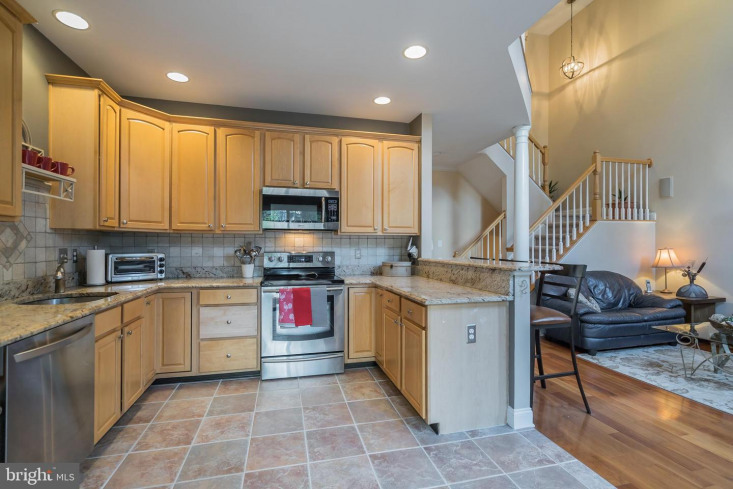 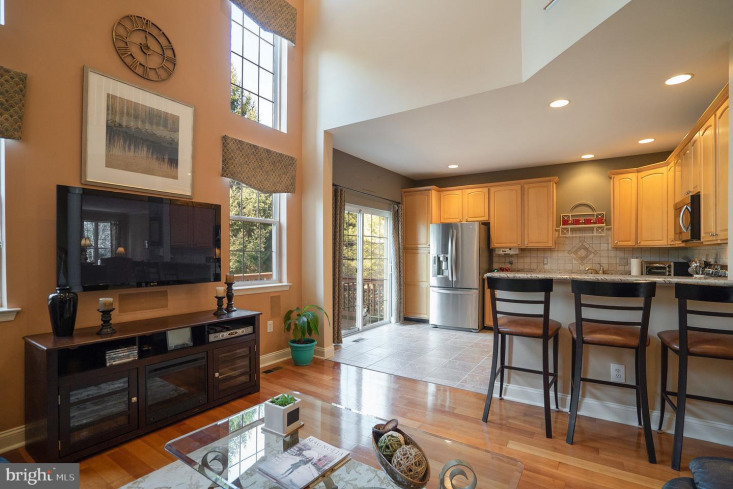 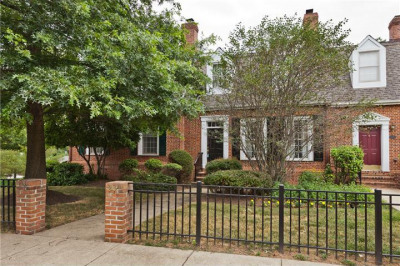 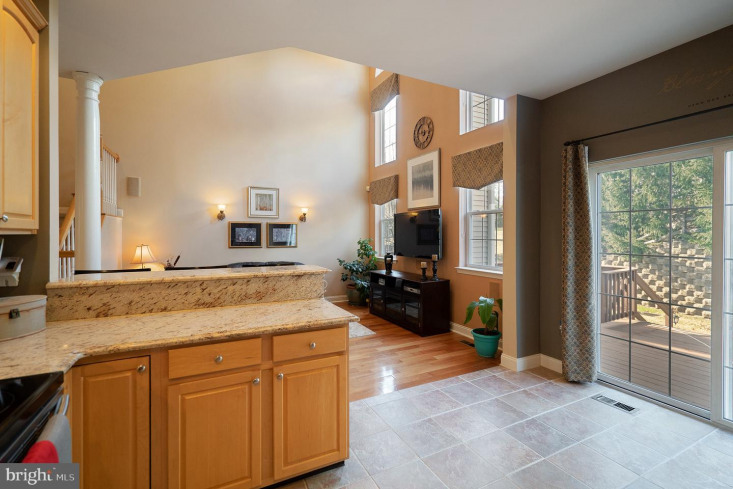 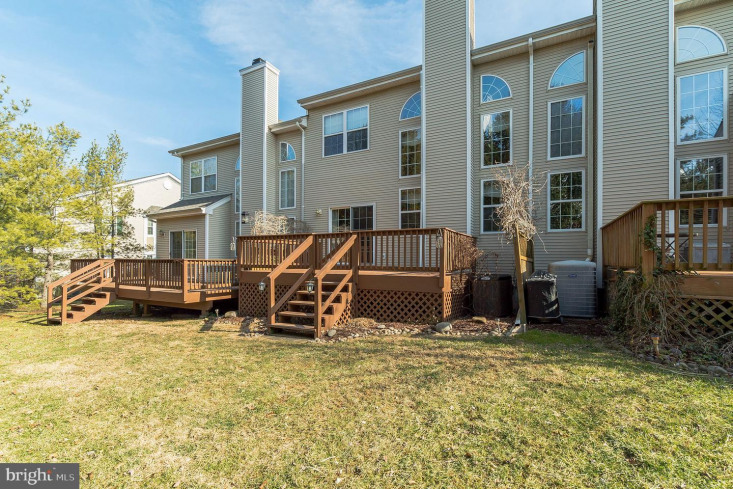 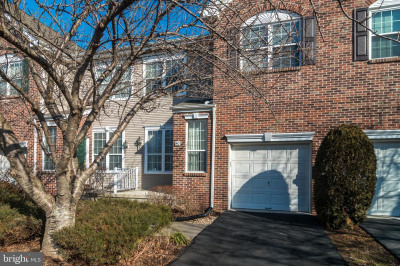 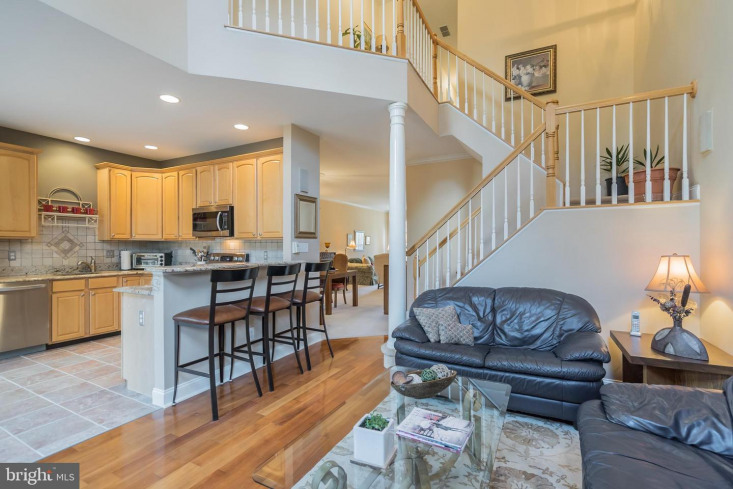 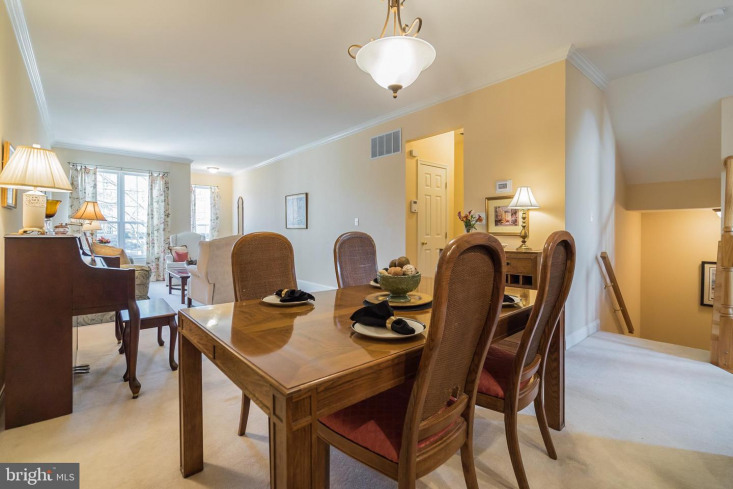 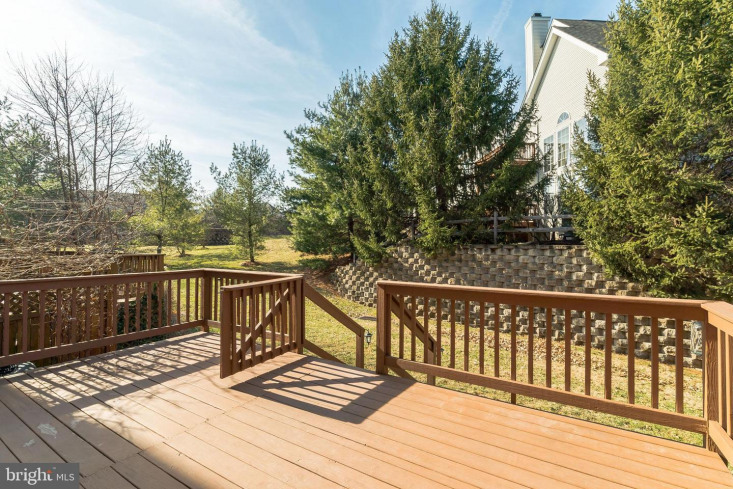 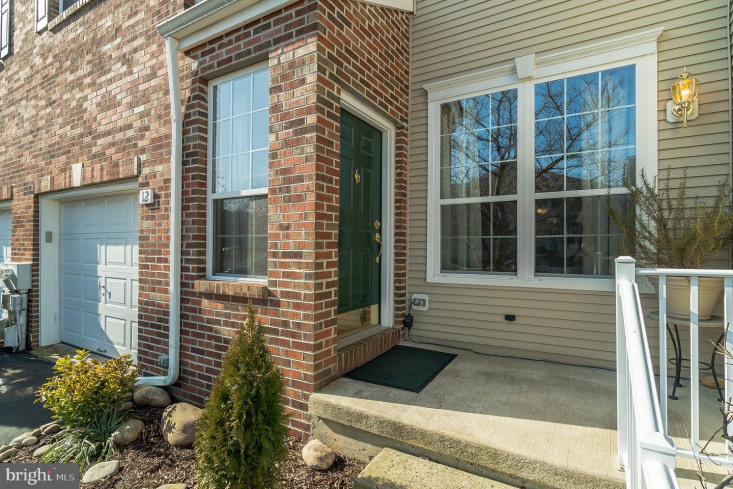 Updated townhouse with open floor plan in desirable Washington Crossing community of Heritage Hills. 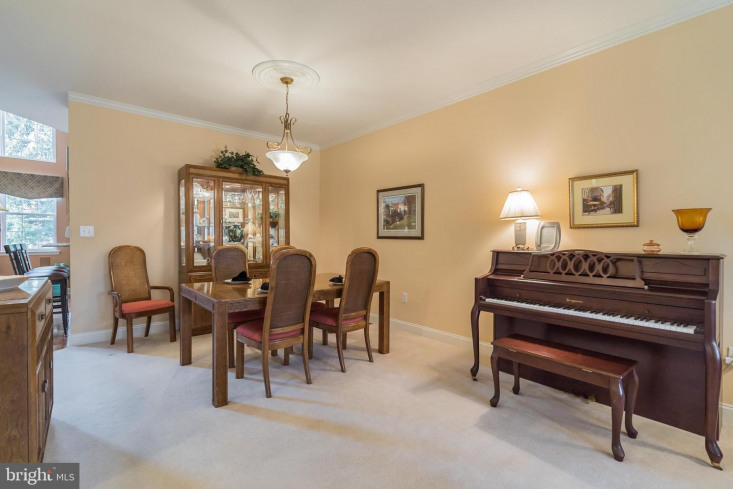 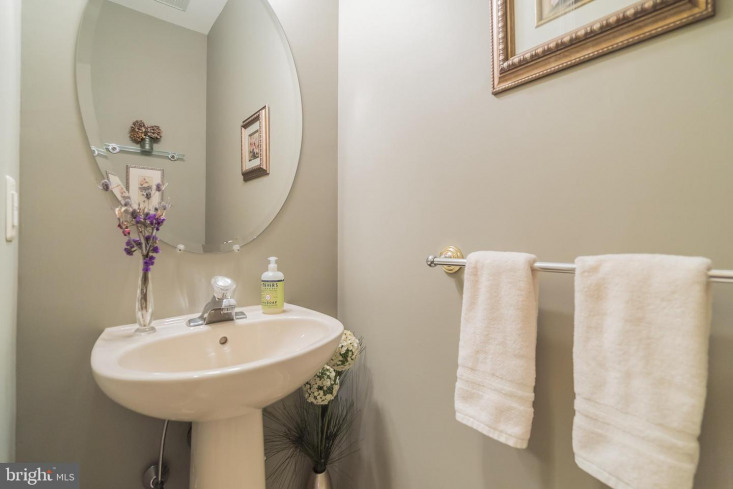 Meticulously maintained and neutrally decorated. 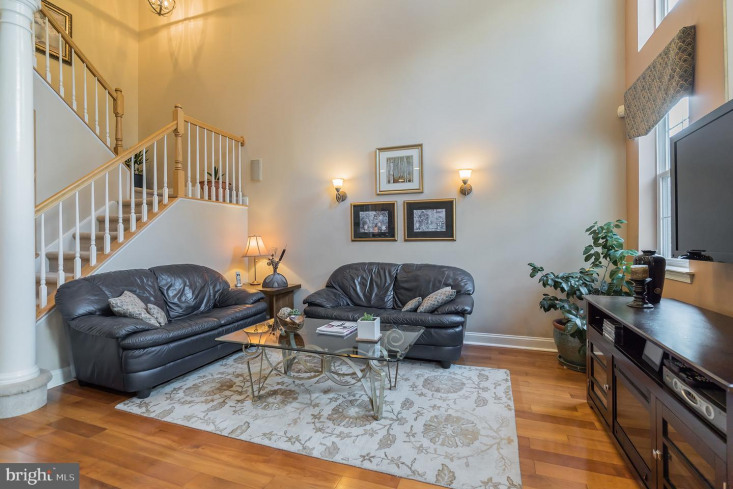 The front entry leads to the living room which is open to the dining room area. 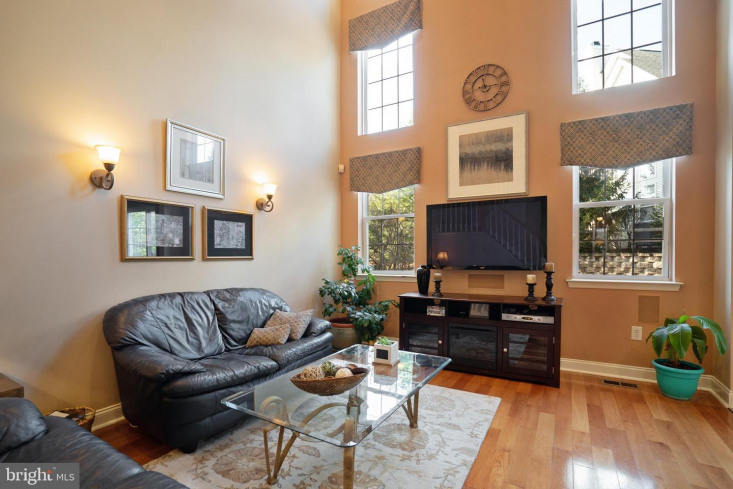 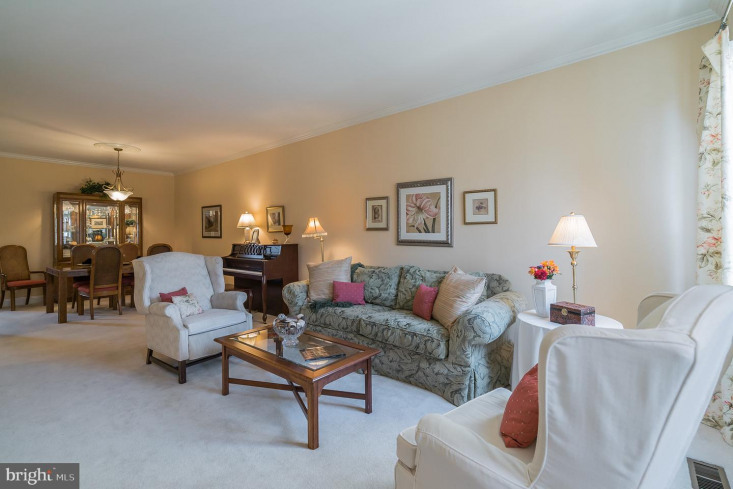 The impressive family room has a soaring two story ceiling, a wall of windows. 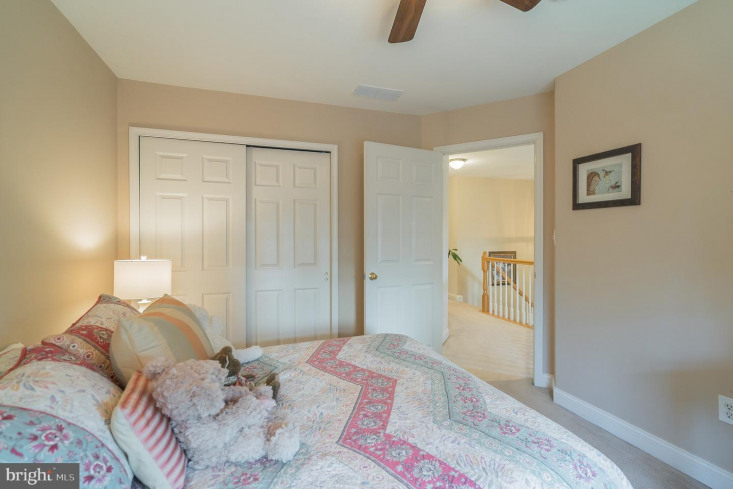 recessed lighting, a ceiling fan and cherry hard wood floors. 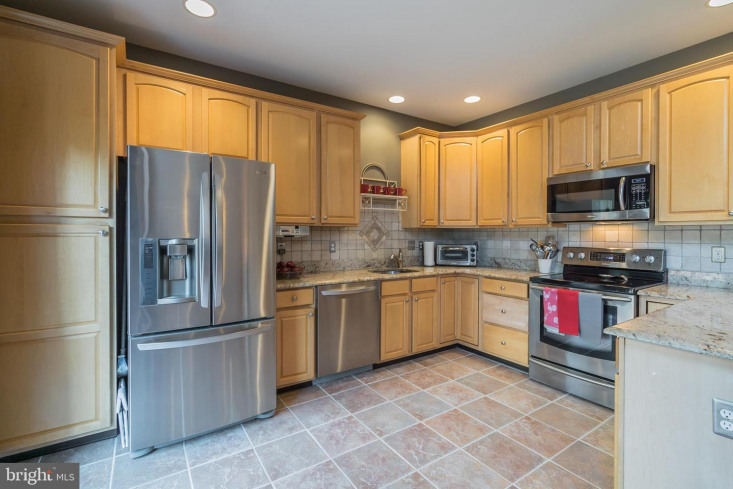 It opens to the updated kitchen with stainless steel appliances, granite counter tops, tiled backsplash and a breakfast bar. 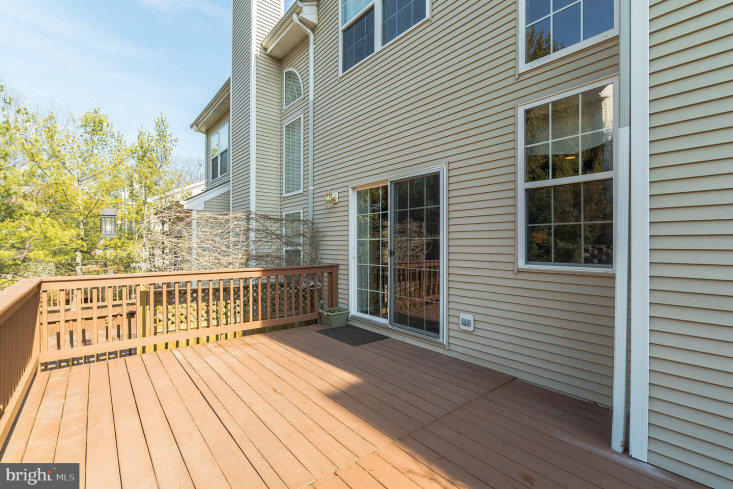 Sliding glass doors lead to a spacious deck. 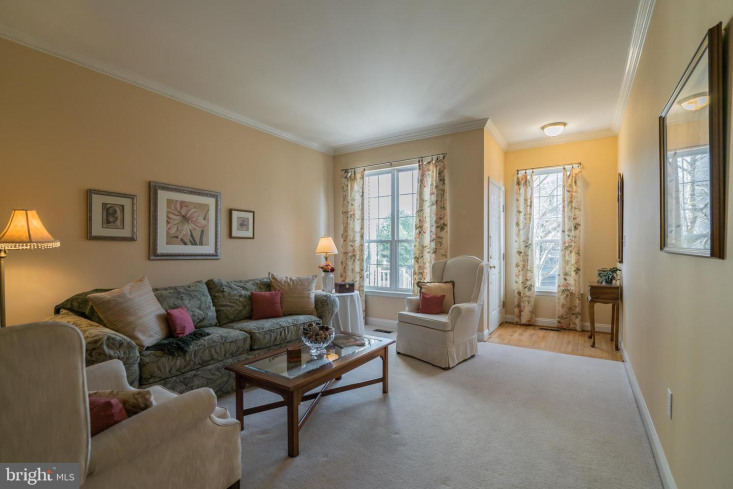 The upstairs hallway overlooks the family room with its floor to ceiling windows. 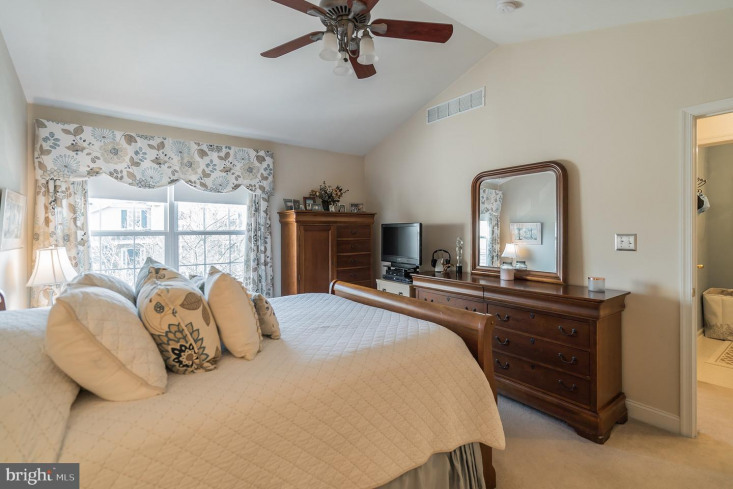 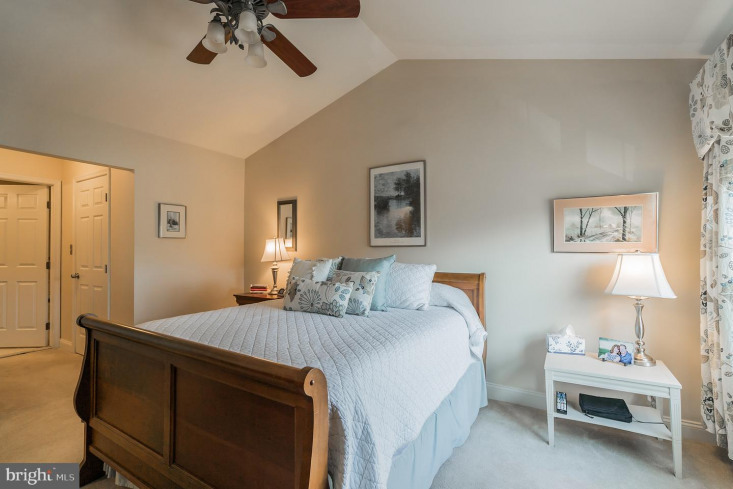 The master bedroom has a vaulted ceiling with ceiling fan, and double walk in closets. 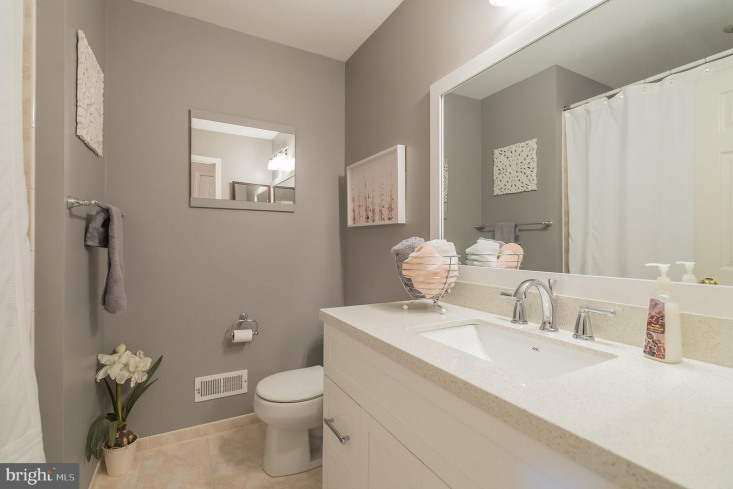 The private master bathroom is spacious with a double vanity, granite countertop, glass enclosed shower stall and soaking tub. 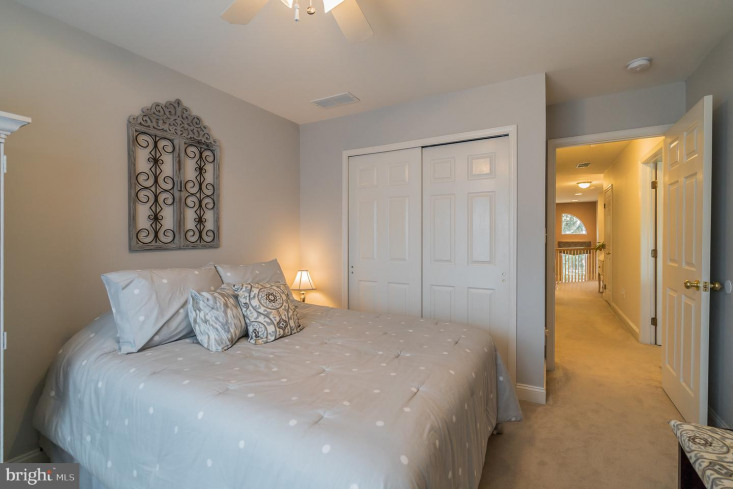 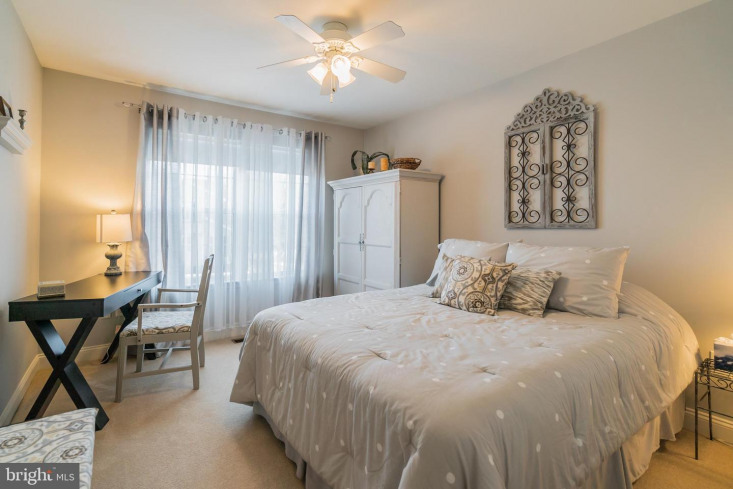 There are two additional bedrooms with ample closet space and ceiling fans. 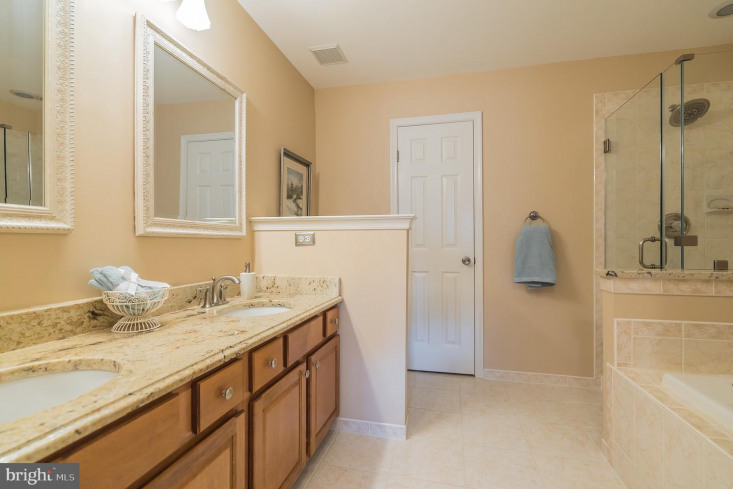 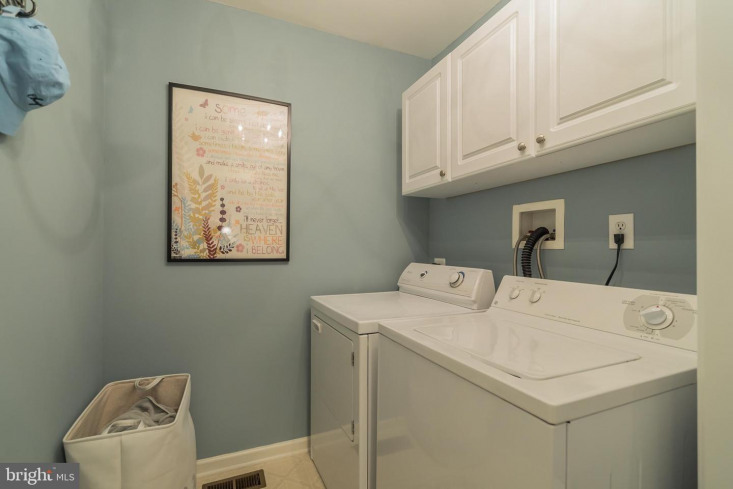 An attractively updated hall bathroom with quartz countertop and a spacious laundry room are located on this level. 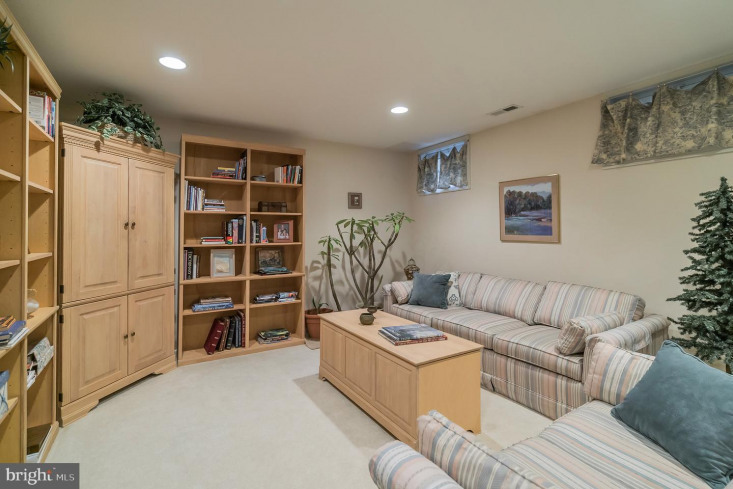 The basement is partially finished offering many possible uses. 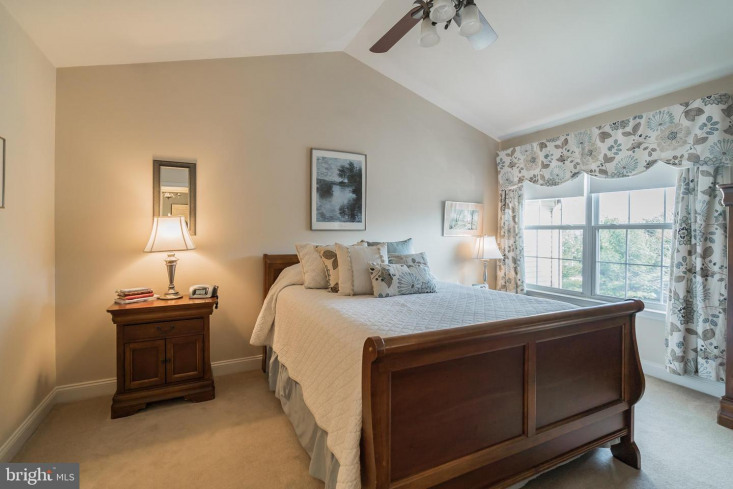 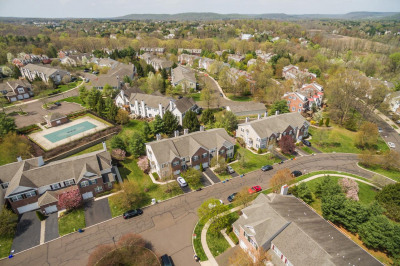  The Heritage Hills community has an attractive pool and tennis courts offering recreational opportunities.